GRAND RAPIDS, Mich. Oct. 5, 2018 (AP) - A Michigan man recently learned that a rock he's been using as a doorstop is a meteorite worth $100,000. 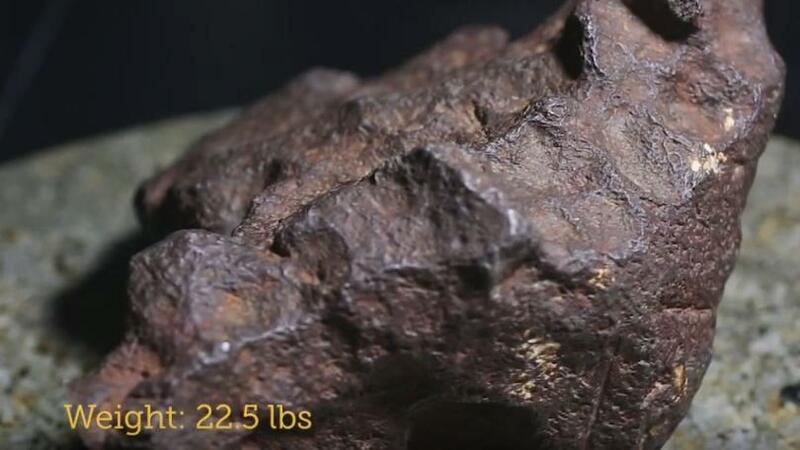 The Smithsonian Museum and Central Michigan University say the nearly 23-pound hunk of iron and nickel is the sixth largest meteorite found in Michigan. David Mazurek says he took his doorstop to the university for examination after seeing reports in January of meteorite pieces selling for thousands of dollars. Mazurek says the meteorite came with a barn he bought in 1988 in Edmore. He says the farmer who sold him the property told him it landed in his backyard in the 1930s. Throughout her 18 years at Central Michigan University, Mona Sirbescu, a geology faculty member in earth and atmospheric sciences, has had many people ask her if the rock they had found was a meteorite. "For 18 years, the answer has been categorically 'no' — meteor wrongs, not meteorites," she said with a smile. That has changed. Earlier this year a man from Grand Rapids, Michigan, asked her to examine a large rock that he has had for 30 years. She was skeptical but agreed to meet him. When he arrived, he pulled out of a bag the biggest potential meteorite she had ever been asked to examine. "I could tell right away that this was something special," she said. She determined that it was in fact a 22-plus pound meteorite, making it the sixth-largest recorded find in Michigan — and potentially worth $100,000. The farmer told the man that as it was part of the property, he could have it. Opportunity strikes. The new owner lived on the farm for a few years before moving on, with rock in tow. He kept it for 30 years — also using it as a doorstop and sending it to school with his children for show and tell. The meteor that blazed through Michigan this January changed his life's trajectory as he read accounts of people finding and selling small pieces of the meteorites. A friend and CMU geology alum directed him to Sirbescu in the College of Science and Engineering, where she took it to one of the labs in Brooks Hall and examined it under an X-ray fluorescence instrument to determine that it was an iron-nickel meteorite with about 88 percent iron and 12 percent nickel, a metal rarely found on Earth. 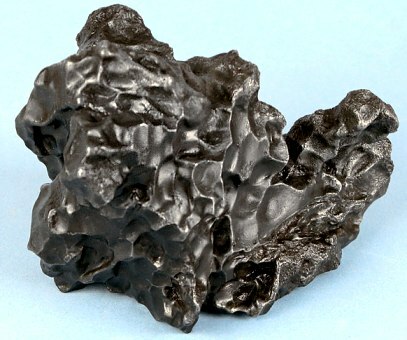 Iron meteorites typically consist of approximately 90-95 percent iron, with the remainder composed of nickel and trace amounts of heavy metals including iridium, gallium and sometimes gold. Looking to confirm her evaluation of the rock and to properly classify and record the new find, Sirbescu cut off a slice, polished it and sent it to a colleague at the Smithsonian Institution in Washington, D.C., who validated her conclusion. The Smithsonian is considering purchasing the meteorite for display. If it doesn't buy the entire rock, the slice will stay in its collection. They all have agreed to name it the Edmore meteorite, she said. The Smithsonian also sent the sample to John Wasson, professor emeritus in the earth, planetary and space sciences department at the University of California, Los Angeles. 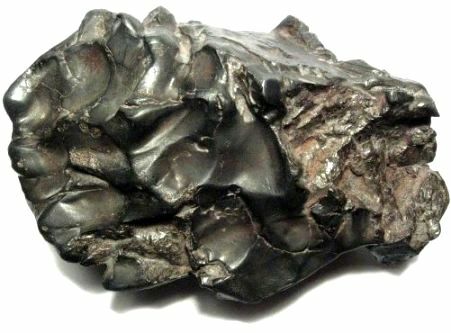 He is considered the guru of iron meteorites, Sirbescu said, and is doing a neutron activation analysis to determine its chemical composition. There is a possibility that the analysis could reveal rare elements that could increase its value. A mineral museum in Maine also was considering buying it, and the owner herself — a collector — said she might purchase it. Regardless of how much that is, Sirbescu feels that she, CMU and her students already have benefited. "Just think, what I was holding is a piece of the early solar system that literally fell into our hands." And she has given that same experience to students this fall, as they have been able to touch a real-life example of what typically are just photographs in their textbooks. Has anyone ever been hit by space debris? The odds of winning the PowerBall lottery? 1:195,249,054. 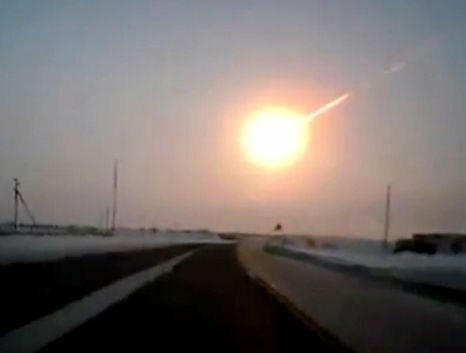 Stop buying lotto tickets and watch out for meteorites, folks.